Oh my word what fun this was to create! 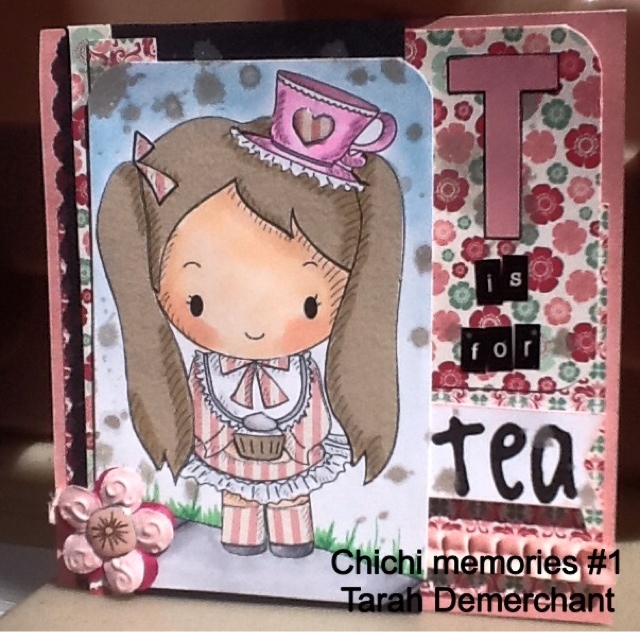 Just like the images at Chichi Memories, it was a fantastic and sweet project. I used Cosmo Cricut paper which had the right balance of pink with girlish fun. I loved this little girl image! She was easy to paper piece. I used copic sketch markers for the skin and teacup. 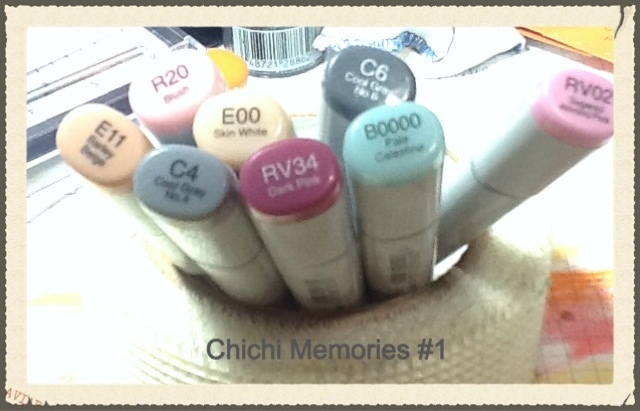 The skin colors that I use (almost all the time) are E00, E11 and the cheeks are R20. These go to colors are easy to blend and super quick to lay down and look good. I used Tattered Angles chalkboard spray. I just loved how it matched the little girls outfit. Plus my daughter loved spraying the mist and flinging it all over. She did a happy dance and declaimed "I LOVE CRAFTS". The tiny letters are from Cosmo Cricut. The pink letter "T", is from letters I would consider my stash! I do declare that this school year be more about using my stash rather than looking for so much new product. I challenge you to dig out some old supplies, purchase a few new supplies and PURCHASE these cutie patootie stamps from ChiChi Memories! Don't forget to take a picture and show us your awesome work using these stamps. Hope you have a scrap happy day!